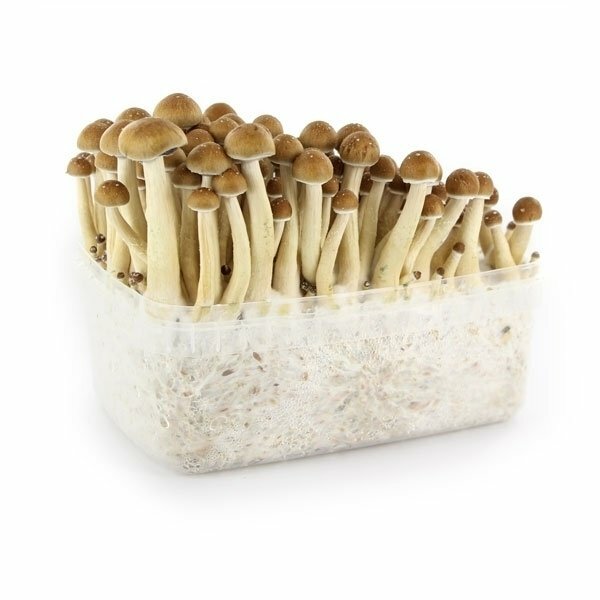 Psilocybe Cubensis Golden Teacher is a magic mushroom strain that will teach you a better world. This strain first started to appear in the late 1980's, but the exact origin is unknown. 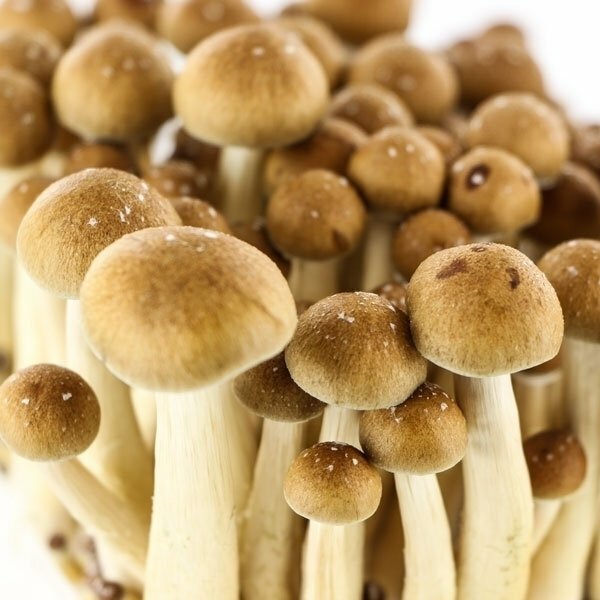 Golden Teacher is a well deserved name - the color of the caps is golden and it has shamanistic capabilities to teach you a better world. 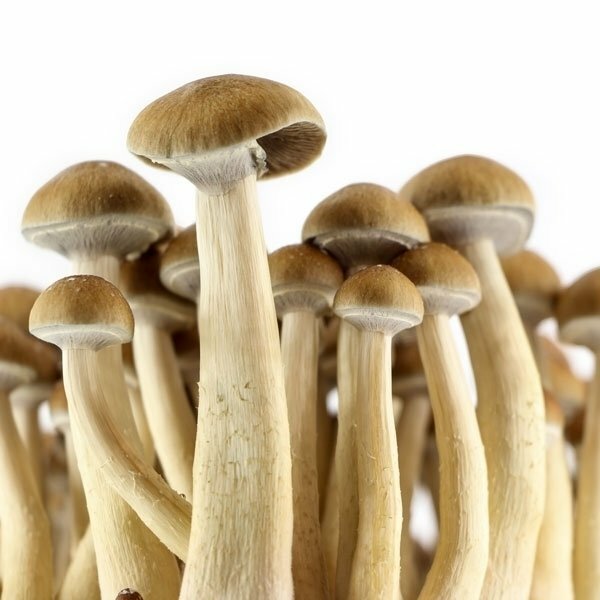 Psilocybe cubensis Golden Teacher is a magic mushroom strain that first appeared in the late 1980's, but who discovered it and where it originated is unknown. 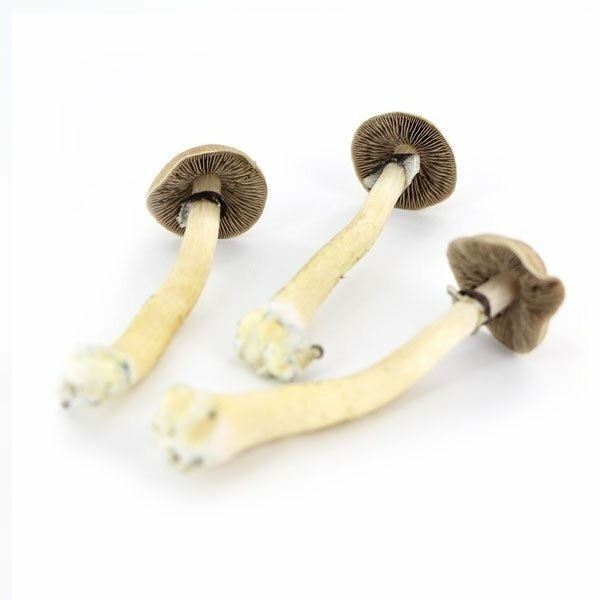 It has been named by its golden caps and the superb shamanic capabilities it has - this divine fruit will teach you a better world. 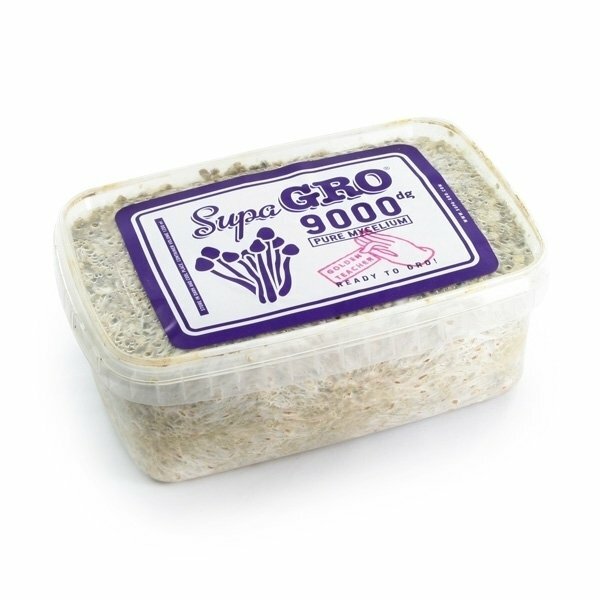 These Supa-Gro kits contain a 1200ml cake of 100% mycelium and are ready to grow - all you need is a little patience. Don't get fooled by the first flush - this strain tends to a smaller first flush, the second flush is usually much bigger than the first. Extremely impressed once again with the service , and the volume of fruits that come from these tubs !! Super impressed once again !! After trying other brands, this one is far superior. The quality of the box and what’s inside is of great quality. Great flushes and wonderful resulting product! Highly recommended! Good trip and very easy to grow , thx Zamnesia ! The first kit came contaminated. Zamnesia created voucher, bought second kit. First flush 21 dried grams. Second 6,7 grams. Third 1,3. Took with 3,5 grams (dried) with a little dark choco (no sugar, 80% cacao) to cover the taste and to extend the trip. After 40 minutes it kicked. For the next 10 hours it peeled my ego until I reached the observer within me. No emotions, no thoughts, just watching universe and life without opinion or questions!! Hard but so enlighting experience!! Thank you zamnesia for the excellent support! Just got the first flush in 20 days really nice trip ! How much light they need to grow? Is it ok to use bottled water? 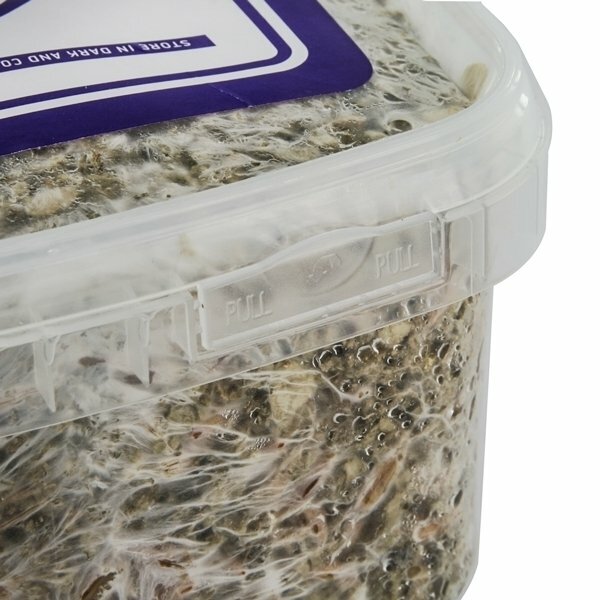 As in, would this be any better to grow mushroomz or just the same as tapwater? Either works just fine. We recommend to just use tap water to keep the costs down. If you insist on using bottled water, just make sure that you are using still water (without bubbles). Do i need to add water at the beginning, when i put the opened box in the bag? how often do i need to add water? the manual is unclear on this and i read varying instructions in the other question sections of other 100%mycelium kits. No need to add water in the beginning. When the first caps start showing, simply spray some water onto the insides of the bags once or twice a day. You can do this when you are airing the kit for example. Make sure you don't spray directly onto the shrooms though.